The Family Guy series is nearly 20 years old. 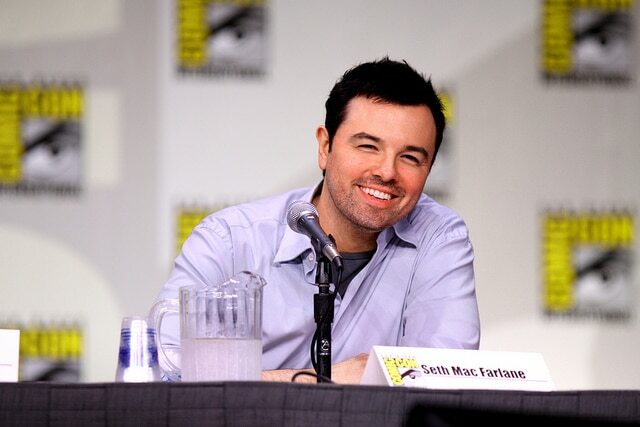 Seth Macfarlane’s net worth is approximately $200 million dollars according to CelebrityNetWorth.com. Seth actually has an extensive career portfolio. You may learn something new as we explore his career. Seth spent his early years in Connecticut where he grew up with his mom, dad and sister. While studying animation at the Rhode Island School of Design, Seth found work for a company that is known today as Cartoon Network. Young Seth would contribute by being a writer and illustrator or animator. His first project was a children’s show that was big in the 90’s and early 2000’s called, “Johnny Bravo.” Shortly after that he worked on a show called, “Cow and Chicken.” This was also a children’s show. In 1996 he worked as a writer on, “Jungle Cubs.” The series premiered through Walt Disney’s network. 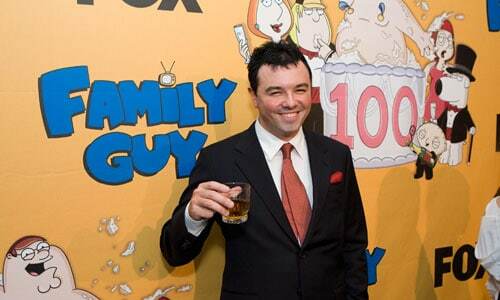 He would go on to create one of the biggest projects of his life, “Family Guy.” He probably was completely unaware of how far this goofy comedy would take him. Through his career Seth has accomplished a lot. He’s won awards and created a show that is still on air after numerous seasons. Seth’s creativity and determination in his field have made him a very successful and rich man. All of his work has contributed to his growing net worth. Below are a few of his greatest accomplishments over the years. For those who are unaware, “Family Guy,” is a show that comes on FOX network. This long running series is a comedy with a spin off and a huge audience. People all over, love to tune in and watch the show to find entertainment and to simply laugh at all the funny sayings and plot twists. Seth’s witty humor created a franchise that is undeniably great. The show first premiered in 1999 and has still been on air ever since. In 2002 he received his 2nd Emmy for, "Outstanding Original Music and Lyrics.” The next time he received an Emmy was in 2016, for “Outstanding Character Voice Over Performance.” This was his 2nd time winning this award. Family Guy was the show he earned each of his Emmy’s for. “American Dad,” is a comedy that is also on FOX network. When watching the show, you can see how it may slightly remind you of Family Guy. In 2005 Seth wrote and produced this show. 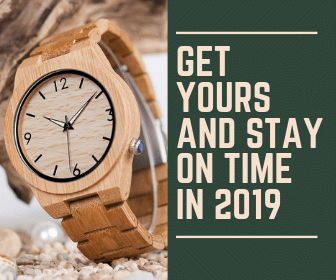 It performs very well on the net-work and has thousands of viewers. This show premiered on FOX in 2009. It happens to be a spin off from, “Family Guy.” The main character, Cleveland,” was in “Family Guy,” as Peter Griffin’s neighbor. This show was set to focus on his family and living situation, taking all of the silly moments and funny lines to incorporate in the spin off. It ran for 4 seasons from the years 2009 to 2013. Ted was a very popular comedic movie with a sequel that first debuted in 2012. The most amazing part about Seth and this project is the fact that he produced, wrote and acted in it. Ted was a big success and brought in $500 million dollars through the world-wide box office. This was a huge milestone since it beat out “The Hang Over,” for the number one, R-rated comedy spot. During the year 2013 Seth was nominated for a “People’s Choice Award” for the role he played in “Ted.” He won the award in the “Favorite Movie,” category. This would be his 2nd film. He co-wrote it and was cast as an actor in the movie that came out in 2014. The movie fits under the comedic genre and is focused on the drama surrounding a guy who flirts with a woman who has a husband already. He even decided to write a book around the plot of the movie shortly after its release. Seth does not plan on stopping his writing and producing anytime soon. This year, Seth is continuing work on his latest creation, “The Orville.” This show is in the Sci-Fi genre which is not his norm but as we know he accomplishes anything he puts his mind to. In the upcoming years, we can expect more creative films, animations and content from Seth. The 41-year-old comedy mogul, is ensuring that he can add to his net worth in the coming years.